We had so many requests for just the post set for our commercial grade park benches that we began to sell them without the lumber. 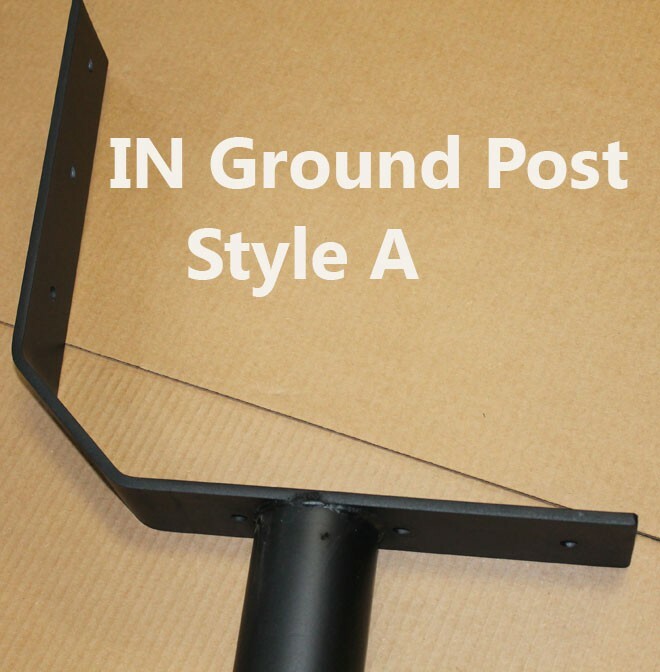 You have the option of purchasing the permanent in-ground post installation or a bolt down base installation option. Both options are the same price. Heavy 5/16” thick by 3” flat steel and 2-3/4” metal post. The permanent post is 36" long. All metal is painted in flat black. Post sets come as a pair with no bolts or plans. 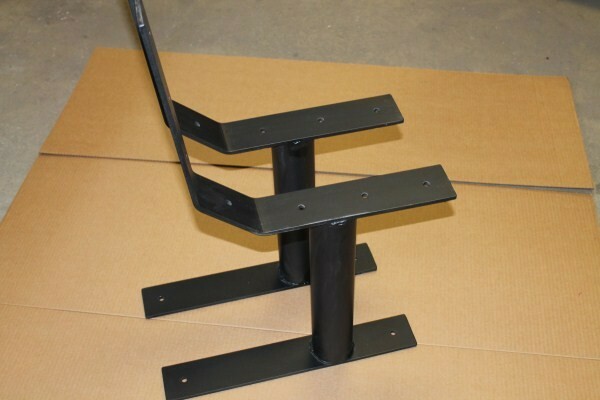 Steel frames are 3" x 5/16" 12" long for the seat and 12" for the back plus 5" in the bend. Enough space to bolt on 7- 2" x 4" boards (Generally sold as 1-1/2" x 3-1/2" wood or poly lumber). The steel posts are 2 3/4" OD with 1/4" walls. 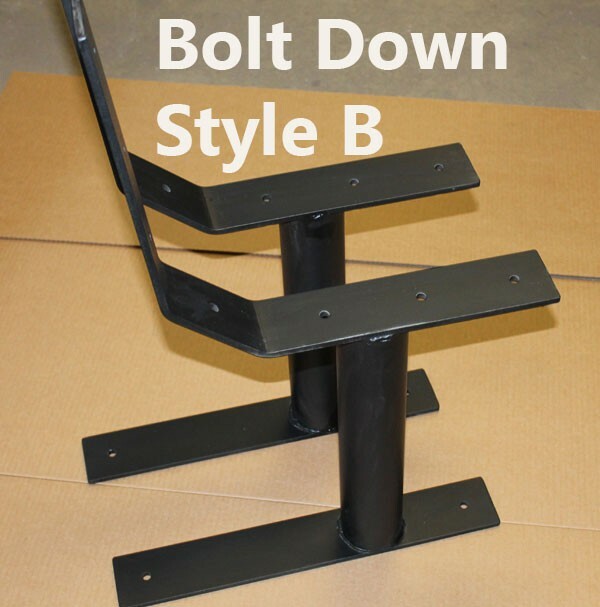 The post is designed to provide a comfortable 18" seating height after the 1-1/2" thick lumber is installed. These posts have been purchased for municipalities, state parks, church camps and for many other commercial uses. They make a great Eagle Scout project or a special memorial. Recommended spacing is 3' apart. The posts are made in a small shop in Indiana. Please allow 3-4 weeks for shipping. Please contact us for discounts on large quantities and shipping via truck freight.